Why don't you join Bleach Unified? It's been almost a year since Kurosaki Ichigo defeated Aizen Sosuke and Ichimaru Gin. The shinigami killed the remaining Espada, and things in the Soul Society have been peaceful. But back in Hueco Mundo, a new group of Espada have formed. Their goal? Avenge Aizen's death and destroy the Soul Society. 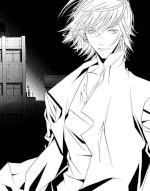 The Arrancar fight over who will lead them, but finally select a mysterious new leader, Seiyusosha Saiyagawa. 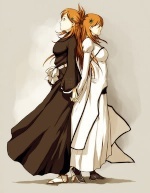 The Espada and Arrancar plan to arrive in both the Soul Society and Karakura town on the anniversary of Aizen's death, knowing the shinigami will have to split up to protect both. With many new and powerful Arrancar, Hueco Mundo has a chance of out numbering and defeating the Shinigami. Meanwhile, not liking the new leader, Tousen Kaname has left Hueco Mundo. Will he try to rejoin the Soul Society, or take his own path? Tousen ends up in Rukongai, where Soifon finds him. The two meet again, face to face, after more than a year. Soifon demands that Tousen leaves, and when he doesn't, decides to take this opportunity to question him about the Arrancar. After a minute, Tousen finally tells her about Seiyusosha Saiyagawa and her plans to avenge Aizen. Also, he says, Kensei Kontan, a Vizard, plans to help her, and turn the rest of the Vizard against the Shinigami! Will Kensei succeed or will the Vizard go their separate ways? The future of the Soul Society may depend on their decision.